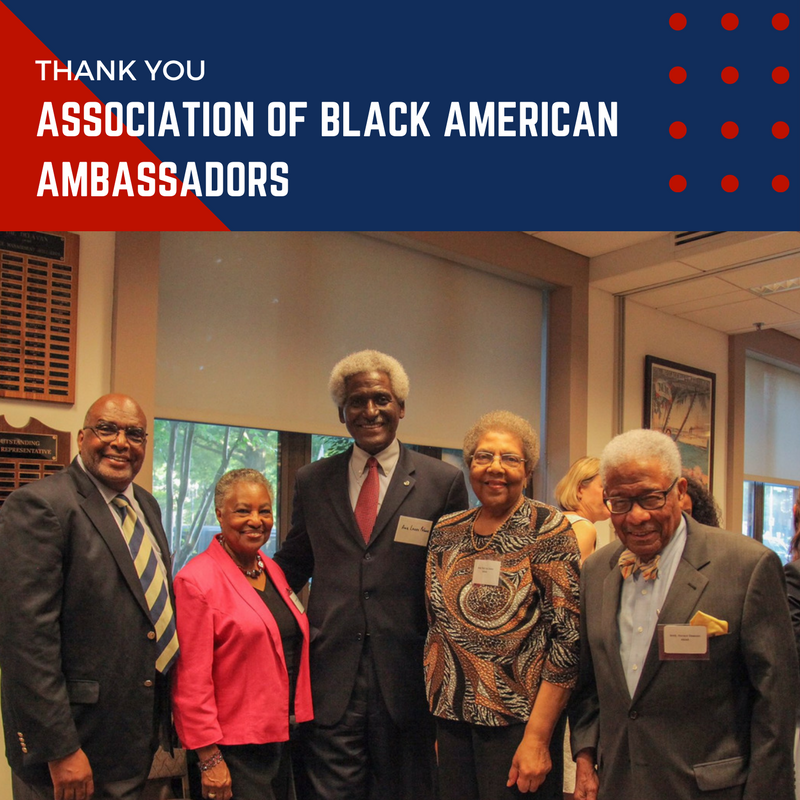 The Association of Black American Ambassadors (ABAA), a group of current and retired Senior Foreign Service Officers, have been long-time supporters of the Rangel Program, its fellows and scholars and Howard University. On June 6, the ABAA, along with the Thursday Lunch Group, the African American affinity organization for foreign affairs agencies, hosted a welcoming reception for the 2017 Rangel and Pickering Fellows at the American Foreign Service Association. The Fellows had an opportunity to chat with former ambassadors, who are fully invested in the success of these young people. Pictured here are long-time Rangel Program supporters Ambassador Steve McGann, Ambassador Mattie Sharpless, Ambassador Larry Palmer, Ambassador Ruth A. Davis, and Ambassador Horace Dawson.